The Retama Ranch apartments near San Antonio are being acquired by Cortland Partners. ATLANTA – An affiliate of Cortland Partners is paying $338.5 million to buy a huge portfolio of 28 apartment complexes that will boost its presence in Texas significantly, an executive with the Atlanta-based multifamily firm said. The portfolio includes 5,464 units with a 93 percent occupancy rate with an average monthly rental rate of about $700. 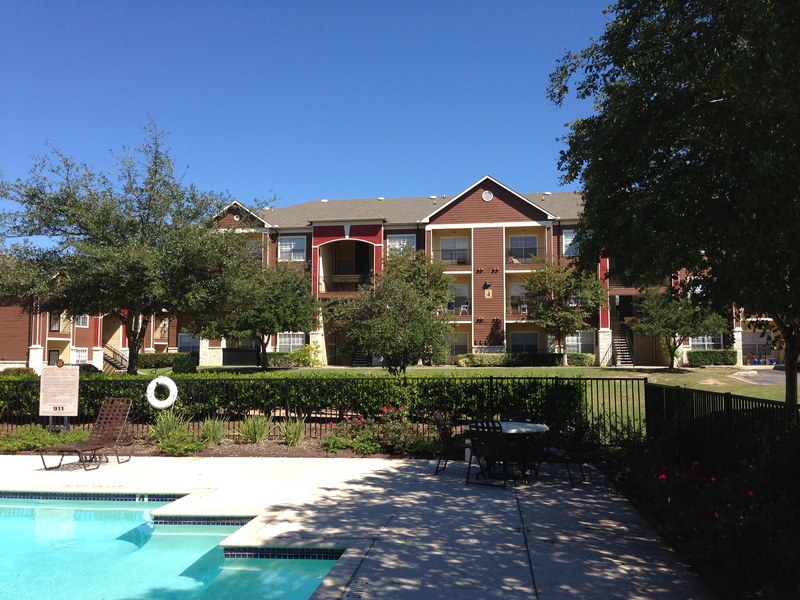 Twelve of the apartment complexes are in Texas, where Cortland already has a presence. The portfolio includes the Stonebrook I and II in Baytown, near Houston, along with apartment complexes in San Antonio and near Dallas, plus units in Lake Charles, La. ; and in Ohio, Iowa and Colorado. Texas is an important market for Cortland and the firm is seeking more investment opportunities in the Lone Star State, said Mike Altman, Cortland’s chief investment officer. The value of the apartment portfolio is heavily weighted toward Texas. “This is Texas – Houston, Dallas, San Antonio,” Altman said. Superlatives about the Texas economy are easy to find these days. Strong job growth in Texas has boosted the housing market as Houston leads the nation in single-family home starts, followed by Dallas at number two and the top 10 also includes Austin and San Antonio. Cortland plans to spend $60 million for upgrades to the Class B portfolio, which is need of upgrades and maintenance, said Altman. Strong occupancy, rising rents and lower tenant turnover give Class B units an outstanding investment narrative and this deal has a projected initial investment yield of 6.5 percent annually, he said. The portfolio is being purchased from a court-appointed receiver. The U.S. Securities and Exchange Commission took control of the apartment portfolio from Management Solutions Inc. in 2011 in a high profile case in Utah. Cortland’s bid to buy the portfolio requires approval of a federal judge in Salt Lake City. However, Cortland is offering 99.5 percent of the appraised value established by the receiver, John A. Beckstead, a partner in the Utah law firm of Holland & Hart. If the court approves the offer, Cortland could close the deal in late March or early April. Texas-based brokers from Hendricks-Berkadia marketed the portfolio. Cortland Partners currently owns more than 17,000 units, located primarily in southern states. Last year, the company’s acquisitions included: the 510-unit Saxon Woods in Dallas, purchased for $60.4 million; and the 301-unit Halstead in Houston for $47.4 million. The firm is expected to acquire $1 billion in multifamily properties in 2014.